A key component in the success of WAMA students is hands-on instruction by guest artists from around the nation. WAMA features four concerts by WAMA guest artists. Tickets to each performance are $15 and can be purchased here. Also available is a series subscription that includes tickets to all four performances for $40 which can be purchased here. Hailed by The New York Times for her “plummy, penetrating voice”, soprano Maria Natale is quickly becoming noticed as a rising talent in the NYC area. She recently received a professional studies certificate from the Manhattan School of Music, where she sang the role of Lady Macbeth in Ernest Bloch’s only opera Macbeth and was praised for her “high voltage vocal thrills” (OPERA NEWS). This year, she was selected by OPERA NEWS to sing in Lincoln Center in a Masterclass with legendary tenor Placido Domingo. Ms. Natale was a winner of the Alan M. and Joan Taub Ades vocal competition at the Manhattan School of Music and a grant recipient from the Gerda Lissner Foundation. In 2014 she was a Metropolitan Opera Council district winner. 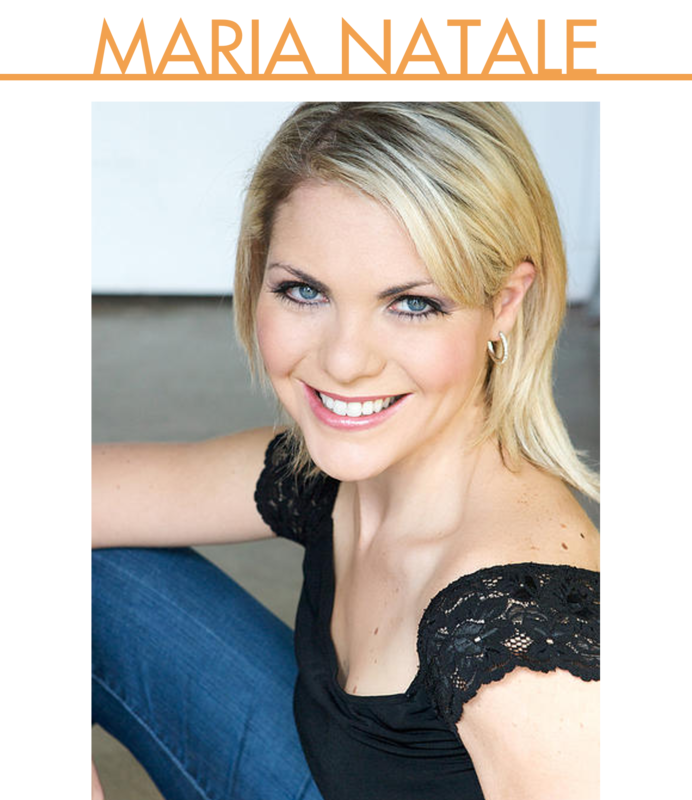 Ms. Natale has also sung with companies such as Sarasota Opera, Knoxville Opera and Nashville Opera. Her portrayal of the role Liù in Turandot with Sarasota Opera was highly celebrated and was noted for her “unequivocal Italian sound” (New Outpost). She received her Master’s degree from the University of Tennessee, and was a studio artist with Knoxville Opera where she sang the roles of Kate Pinkerton in Madama Butterfly and Pousette in Massenet’s Manon. Other credits include the Contessa Almaviva in Le nozze di Figaro, Genovieffa in Suor Angelica and Nancy in Albert Herring with the University of Tennessee Opera Theater. Ms. Natale is a California native and received her Bachelors in Music from the San Francisco Conservatory of Music. She will be accompanied by pianist Dr. Kyung-Eun Na. Pianist Kyung-Eun Na is a performer, educator, opera coach, and radio program director. She has served as a vocal coach and collaborative piano faculty at the University of Arkansas at Little Rock and as adjunct faculty at Seoul Arts High School and Sungshin Women’s University in Korea; worked as a Spectrum Resident Artist Coach and Education Tour Manager at Virginia Opera; and served as an assistant program director for The Classical Collection at TBS English FM in Korea. As a winner of the Marilyn Horne Foundation competition 2007, Dr. Na participated in recital tour projects and master classes with emerging vocalists. Dr. Na has participated as a coach and a pianist in multiple performances at the Juilliard School, Music Academy of the West, and Aspen Opera Theater Center. Her chamber music credits include performances with members of the New York Philharmonic, Metropolitan Opera Orchestra, Los Angeles Opera Orchestra, and the Seoul Philharmonic Orchestra. Performances of contemporary music include a collaboration with composer John Corigliano and a solo appearance in the New Juilliard Ensemble’s New York premiere of Mary Finsterer’s Concerto Grosso “NYX.” Dr. Na received her doctorate at Manhattan School of Music, a bachelor’s degree in Piano Performance from Yonsei University, an Artist Diploma from Oberlin Conservatory, and a master’s degree in collaborative piano from the Juilliard School. World-class violinist Tarn Travers has performed across the United States, Europe and Japan as a soloist, but is also renowned for his work as a chamber musician and as an orchestral player. 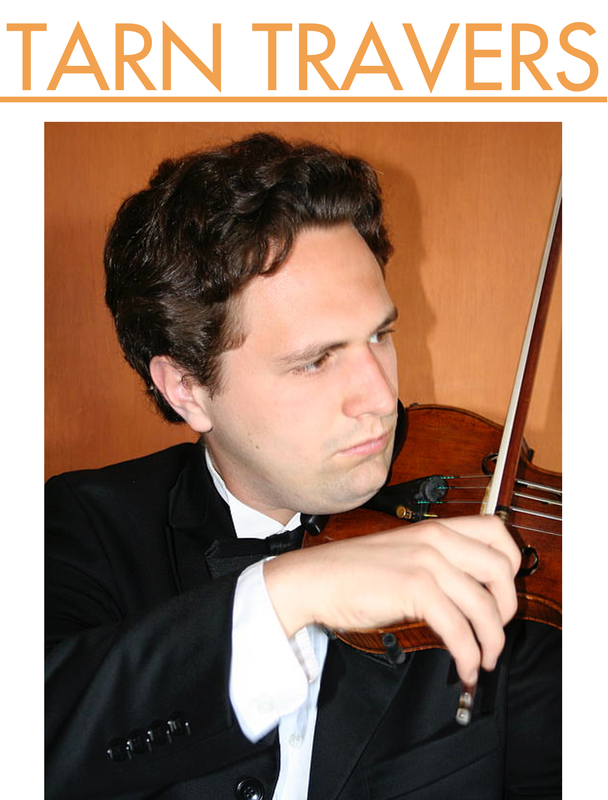 He is a winner of the prestigious Heifetz Guarneri auditions and has performed with the New World symphony, at the Library of Congress in Washington DC, and recently completed an Austrian tour of Sibelius’ Violin Concerto. He has served on the faculty of Luther College and AlpenKammerMusik in the Austrian Alps. Tickets are available here. 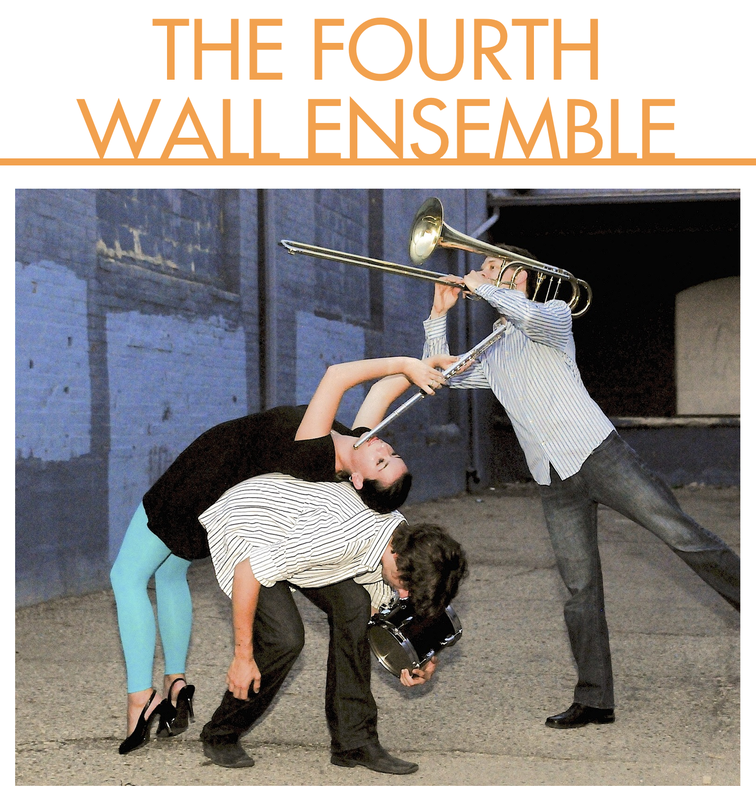 Founded in 2010, The Fourth Wall Ensemble brings contemporary chamber music to new audiences around the country. The Ensemble consists of a flutist, a trombonist and a percussionist, and together they bring a unique theatricality to their performances. Their name is derived from the theoretical “fourth wall” that separates audiences from the action on stage. “We like to break the fourth wall, which means that we go out into the audience, talk directly to them. Sometimes bring the stage action out there, sometimes bring the audience on stage with us, and try to be as interactive as possible,“ says flautist Hilary Abigana. With a combination of commissioned works and well-known classics, The Fourth Wall Ensemble makes music that literally leaps off the stage. Tickets are available here. 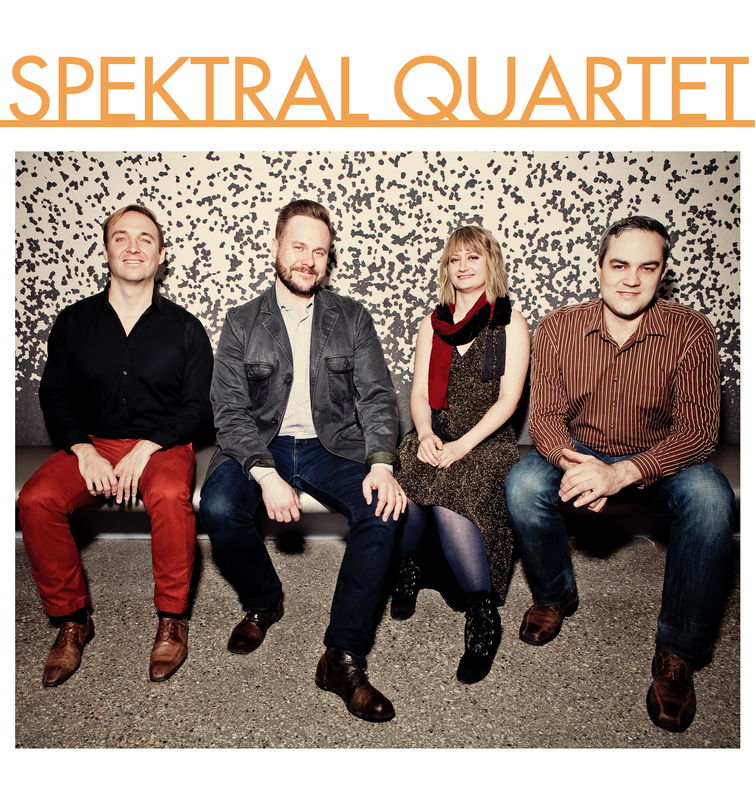 Founded in 2010, the Spektral Quartet has quickly risen to prominence as one of the nation’s most contemporary and energetic chamber ensembles. The Quartet has focused on melding classic compositions with works composed in recent years. Often, they take individual movements from classical works and intersperse them with a wide range of musical styles. For their 2014/2015 season, the Quartet balances four new and experimental commissions with the works of Beethoven, Ligeti, Hayden, Dvorak and more. Tickets are available here.